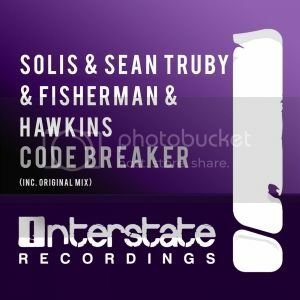 Solis & Sean Truby & Fisherman & Hawkins - Code Breaker [Interstate] | OUT NOW! Thread: Solis & Sean Truby & Fisherman & Hawkins - Code Breaker [Interstate] | OUT NOW! The dominant force that is Solis & Sean Truby continues their ever impressive string of high octane releases in 2014 and their next offering is no exception. 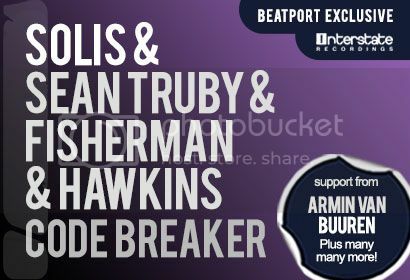 Teaming up with rising stars Fisherman & Hawkins, the foursome deliver the epic ‘Code Breaker’. Fusing both groups unique signature sounds with a dollop of classic trance sounds to help pay homage to those gone but not forgotten days. ‘Code Breaker’ is a huge crowd pleaser with its rolling bass, dirty synth sounds and huge euphoric, techy energy. Another biggie from the S&ST studio and the ever faithful Interstate label.